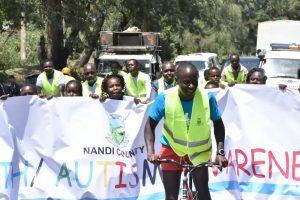 Nandi county joined the rest of the world in marking the international World Health and Autism month. April 2 is observed as World Autism Awareness Day by the United Nations General Assembly to highlight the need to help improve the quality of life of those with autism so they can lead full and meaningful lives as an integral part of society. The day, is celebrated internationally following its adoption by the UN in 2007. World Health Day is a global health awareness day celebrated annually on April 7. 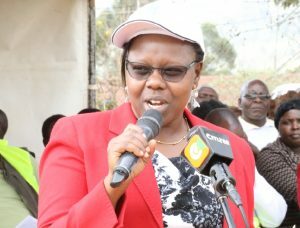 Nandi Deputy Governor Dr. Yulita Cheruiyot giving an address at the event. 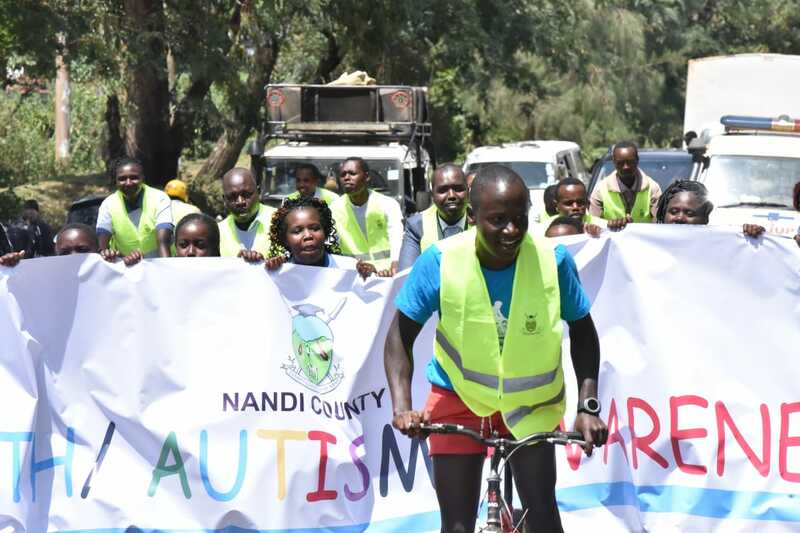 Nandi Deputy Governor Dr. Yulita Cheruiyot led Nandi residents in marking World Health/Autism day at an event that was held at the Kapsabet County Referral Hospital in Kapsabet Ward, Emgwen sub county. 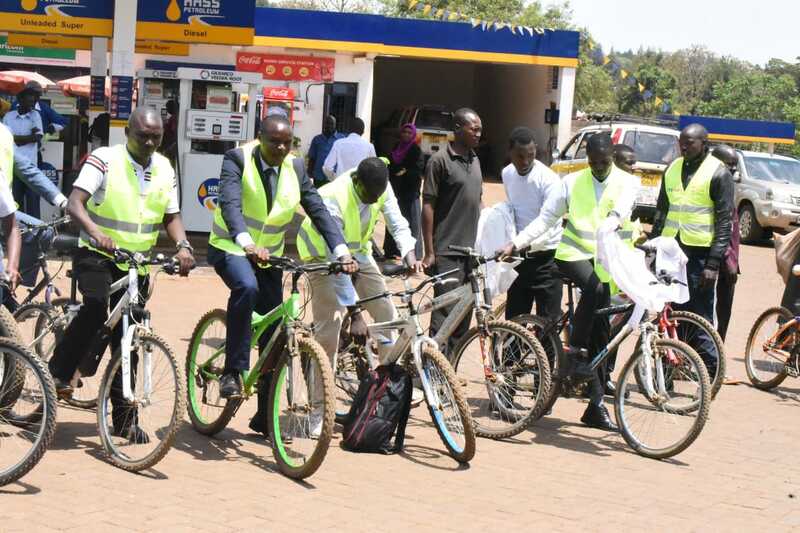 The celebration was marked with guest cycler James Gatenga leading the procession along the streets of Kapsabet town to create awareness of the disorder. Autism is characterized by varying degrees of impairment in communication skills and social interactions and in restricted, repetitive patterns of behaviour. Globally, one in 160 children has autism spectrum disorder (ASD), according to the World Health Organization. Autism spectrum disorder, refers to a group of neurodevelopmental disorders of variable severity characterized by repetitive and characteristic patterns of behavior and difficulties with social communication and interaction. The World Health Day was also marked by organising different programmes. The day was celebrated with the theme ‘Universal Health Coverage. 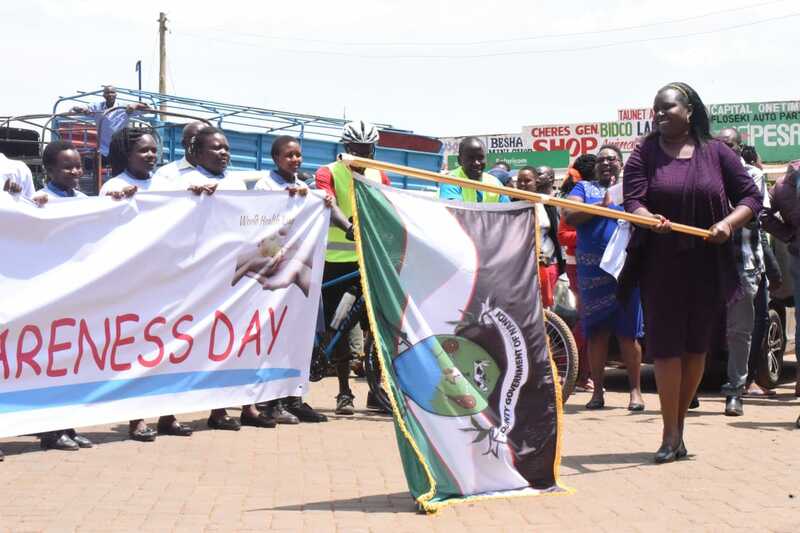 The day is held to mark WHO’s founding, and seen as an opportunity by the organisation to draw worldwide attention to a subject of major importance to global health each year. 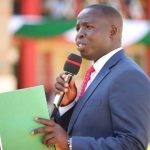 Progress is being made in Nandi County towards the attainment of UHC through the provision of Quality, affordable health care. 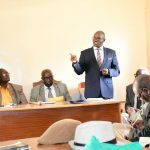 Over 20 facilities and 2 maternity units have been operationalized. 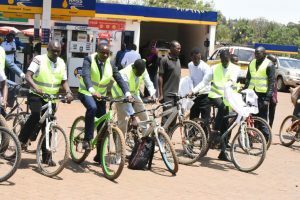 In her speech, the deputy county boss said that it is the priority of the county government of Nandi to create an enabling society, where disabled people know they are highly valued and can fully participate. “I believe passionately, that disabled people and their families want to be free to choose how they live their lives, to live an everyday life in everyday places,” said Dr. Yulita. Awareness of autism syndrome, how it affects those who live with these conditions and their families, is vital in ensuring access to the right support and most importantly of all, to ensure that people living with these conditions are able to participate in the community and live an ordinary life. World Autism Awareness Day is about more than generating understanding; it is a call to action. Present at the event were the CEC for Health and Sanitation Ruth Koech, Kapsabet Ward MCA Hon. 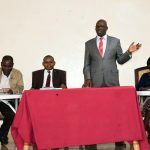 Fred Kipkemboi, KNPA representatives, Kenya Autism Association among other county officials.